If Today Was Your Last Day lyrics © Warner/Chappell Music, Inc.
A young man in the Siberian city of Biysk has made up with his girlfriend in spectacular fashion by serenading her from a van – suspending by a crane outside her third-floor bedroom window. 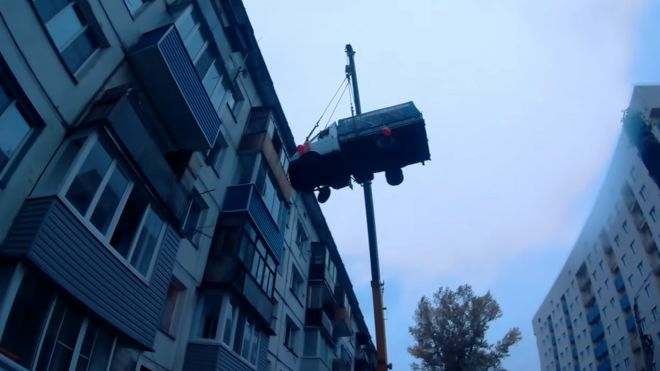 Neighbours on Leningradskaya Street took to the Vkontakte social media site to report a lorry with a crane hoisting the van high into the rainy morning sky, with some hoping the police would “stick it” to the driver when they turned up. But it gradually dawned that this was a special occasion, as the van was decorated with balloons. And when Yelena Gorbunova opened her window to see what was going on, she came face to face with her ex-sweetheart Alexander bearing flowers, gifts and a card to mark her 29th birthday, while a saxophonist below played her favourite song – the Aerosmith hit Dream On. 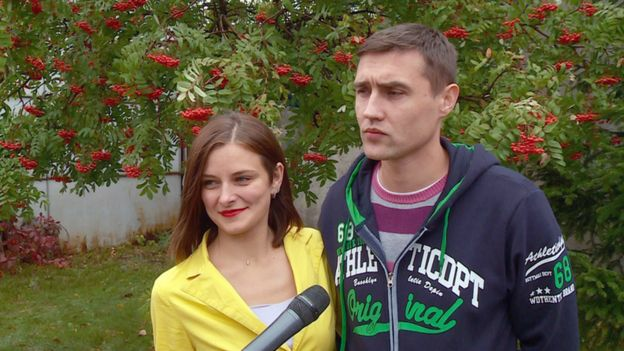 She told Russia’s Metro newspaper that Alexander “often surprises me with presents, but never before like this!” She said they split up three weeks earlier after going steady for a year, and the romantic gesture has persuaded her to “make up with him”. Well, good luck to them.